4MyEarth reusable food covers will help you to rid your fridge of plastic wrap and keep your food fresh. 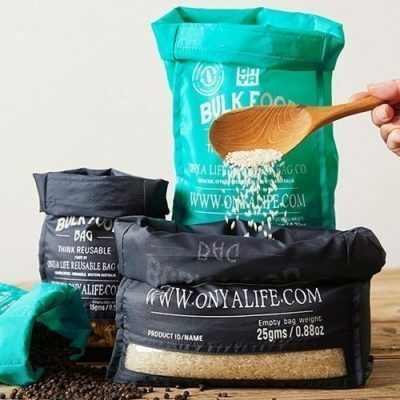 These reusable food covers are made from Cotton/Canvas with a biodegradable coating. 4MyEarth reusable food covers are washable and can be used over and over again, reducing waste and helping you to stay plastic free. Ethically hand made in India. Reusable food covers are also great to have at an outdoor BBQ or Picnic to keep the bugs off of your food when no one is eating. – will fit a small mixing or serving bowl, small side dishes & small bowls found in most dinner sets. Dishwasher, machine or hand wash.
Not to be used in microwave or oven.